Dreamgaze will be releasing a limited edition lyrics book for “Sound Colour” in the near future. 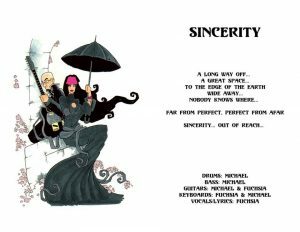 Check out the preview page for “Sincerity” below. Stay tuned for updates!